There have been a number of consultation and information events in Tiree over the last six months. I also write this regular update in An Tirisdeach. 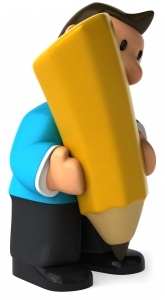 However, a number of people have commented that they would like to find out more about the development directly. I have, therefore, been hosting ‘Township Meetings’ over the last month or so. Two such meetings have been held so far. The meetings are by letter invitation to all residents of a number of neighbouring townships and are planned to be smaller and more relaxed events than island-wide meetings. There’s no formal programme for the evenings; they’re relaxed opportunities for people to ask questions, discuss issues or hear more about the project, as they wish. I’m the only representative of ScottishPower Renewables at the meetings and members of the Tiree Trust are also invited along. Townships to the south and west of a line from Balevullin to Hynish have been involved in the two meetings held so far. Another three such meetings between now and Christmas will see all townships covered and I hope that as many as possible will be able to attend their particular meeting. As well as these general meetings I also hope to meet with businesses in important sectors of the Tiree economy before Christmas. As I said in my last update, one of the issues arising from the visit to wind farms off the town of Barrow in the Irish Sea last month was the visual impact of jacket foundations for offshore wind turbines. Some of the turbines seen during the visit had jacket-type foundations. The most common type of foundation used in onshore or offshore wind farms is the monopile foundation. As the name suggests, a monopile foundation is a single pile driven deeply and firmly into the ground or sea bed and upon which the turbine tower is fixed. This is what we often see in pictures of offshore wind turbines. Another type of foundation sometimes used in offshore windfarms is a gravity foundation. A gravity foundation is simply a large concrete block, sometimes filled with water, which rests on the sea bed and upon which a turbine tower is fixed. The visual effect of both monopiles and gravity foundations is that the turbine tower appears to rise directly out of the sea. A third type of foundation used for offshore windfarms is a jacket foundation. A jacket foundation looks different to monopile or gravity base foundations. A jacket is essentially a three or four legged structure, whose legs are piled into the sea bed to fix them. The legs are further strengthened by a metal lattice and the structure rises above sea level, with a platform on the top. It is upon this platform that the turbine tower is fixed. No seabed surveys have yet been carried out on the Argyll Array site nor has any analysis yet been made of the environmental impact of the different forms of foundation. It’s therefore not yet possible to say what foundation type is likely to be used in the Argyll Array. SPR is, however, very aware of possible visual impact concerns about jacket foundations and this will be an important factor to be considered when making a decision about foundation types for the planning application. Another issue that came out of the visit was the visual impact of the wind farms at night. The lights on the turbines were visible from shore and, while the effect was far from industrial, it was more than some on the visit had anticipated. A possible reason for this is the mandatory guidance on safety lighting and the number of individual wind farms in that part of the Irish Sea. An individual wind farm has navigation lighting on some turbines around its perimeter. When there are several separate wind farms, as is the case in that part of the Irish Sea, each individual wind farm has to be lit round its perimeter. This means that when looking at a number of wind farms off Barrow, there are more lights visible than there would be if these turbines were part of a single wind farm. Another possible reason is that the individual identification lights on the turbines seen during the visit appeared to be visible from 10 kilometres, and were much brighter than would be required in the Argyll Array. For all individual offshore wind farms, including Argyll Array, one turbine roughly every 4 kilometres round the perimeter has a maritime navigation light. A number also have an aviation navigation light, designed to be seen from the air. Finally, each turbine in the wind farm has an identification light, to illuminate the turbine number on the tower, in the event that a vessel in distress inside the wind farm at night needs to identify its location. The identification lights in the Argyll Array would be no brighter than needed for that purpose i.e. visible from only 50 metres away. SPR therefore anticipates that the night time lighting in the Argyll Array would not have as much visual impact as that seen on the visit but is nevertheless aware of the sensitivity of the issue. Night time lighting will be assessed in the Landscape and Visual Impact Assessment, carried out as part of the Environmental Impact Assessment of the project. There was a good turnout at the careers evening organised by SPR at the end of last month. There were brief talks from two SPR Operations and Maintenance managers and also from a work boat operator, who had travelled from the Netherlands especially for the event. Offshore wind farm Operations and Maintenance provides career opportunities in all areas; professional, technical, craft, administrative and manual, with all of these equally appropriate for men and women. The current entry method is mainly through having existing skills in any of those areas. · The next few years will see specific training for offshore Operations and Maintenance being developed. The industry provides new opportunities for good quality, secure jobs. This is the case nationally but would have particular impact on Tiree were any part of the Argyll Array Operations and Maintenance to be sited here. Electrical, Mechanical, Electronic engineering, aeronautical and even car mechanic type backgrounds, to vocational standards (HNC, HND etc) and higher, provide an excellent grounding for work as turbine technicians. Offshore oil and gas skills are also transferable to offshore wind. Going along to the Scenario Mapping events taking place between now and Christmas in Tiree gives an excellent opportunity to understand and influence how Operations and Maintenance for the Argyll Array could develop. A number of those who were able to come along found the format and contributors relaxed and informative. The company would like to thank those who travelled to Tiree and also all those who attended for making the evening such a success. Ralph and Morna from the SPR Project Team took four visitors from Tiree to view offshore windfarms from Barrow-in-Furness in north west England on the 26th and 27th September. The visitors from Tiree were Robert Trythall, Clare Jones, Sophie Isaacson and Ian MacInnes. The aim of the visit was to demonstrate what an offshore windfarm looks like from the coast, to give an idea of the jobs and infrastructure involved in construction/operations of an offshore windfarm, and to demonstrate SPR’s approach to development of windfarms. On Monday the group visited SPR’s Whitelee windfarm and Visitors’ Centre on Eaglesham moor outside Glasgow, then drove to Barrow-In-Furness, in Cumbria. At Barrow, the group drove along Walney Island, and viewed the Barrow, Ormonde and Walney offshore windfarms from the coast including viewing the turbines at night. The potential for economic and social development from an offshore wind farm. The visual impact of jacket foundations. The visual impact of the wind farm at night. These last two points are things the company is taking very seriously and I will have more to say about them next week. The Project Team has been working recently to create detailed ‘scenarios ‘of how Operations and Maintenance of the Argyll Array could potentially work if the base was sited wholly or partly in Tiree.Operations and Maintenance (or O&M) is the work which needs to be done once a wind farm is built and it begins to generate electricity. Over the 25 year lifespan of a wind farm, turbines have to be serviced and repaired and technicians and spares have to be quickly and efficiently transported to the wind farm. 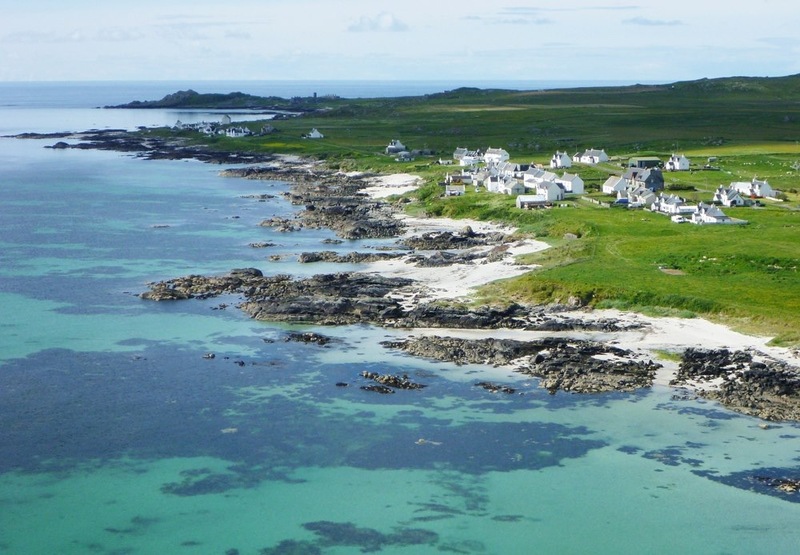 We have outlined a number of options, or ‘scenarios’, for that and these will enable people to better understand what the onshore impacts of the project could be in Tiree. It’s important to emphasise that these scenarios are concerned with what may happen onshore in Tiree and are not focused on questions about the actual wind turbines themselves. It’s also important to say that the scenarios are not definite plans-they are possibilities or options for how O&M could be done. We have provided these scenarios to the consultants who are carrying out the Scenario Mapping process on behalf of a group led by Argyll and Bute Council. These will form part of the consultation event to be held soon in Tiree. Like the previous event last month, this is not an SPR event. However, this is a really good opportunity to get more information about the possible impacts- if O&M was cited in Tiree- of such things as new jobs, increased transport activity, new infrastructure and increased economic activity generally. This will enable the community to be better informed about these possible options and allow a clearer picture to emerge of Tiree’s views about them when the consultation is complete by the end of the year. Some of the O&M scenarios that will be presented in the Scenario Mapping process have the potential to be of great benefit to Tiree both economically and socially. They could bring good quality jobs and improved infrastructure to the island. However, it has been clear to the company for some time that there is an expectation that other direct positive impacts could also come from the Argyll Array. This has been evident from conversations round the island, from views put to us by the Tiree Trust and from the comments at the Public Information Day in June. Keen readers of these Updates will remember that I said in August that the company was working on what form that positive impact could take. So this is something else the Project Team has been working on recently and we’re committed to saying more about this once the Scenario Mapping process is complete. A major part of the project will be the system needed to transmit the electricity generated by the wind farm to the National Grid. The electricity has to be transmitted by an export cable to a site at Cruachan, near Dalmally, on the Argyll mainland. This will require the grid route to go from the wind farm, both on the sea bed and on land, to get there. Much work has been done over the summer on looking at potential grid routes. The options have now been reduced to a number of potential routes, which will be the subject of Public Information Days next month. These Information Days will be similar to that held in Tiree in June. The public will be able to see a number of possible grid routes and to make comments on them. Public bodies such as the Scottish Government, the Council and SNH will be asked for comments. Representative groups such as users of the sea and land along the routes will also be invited to comment. Once the Information Days have been held, the company will take account of all the comments and of the technical data before selecting one or two routes to look at more closely. This closer look will involve a full Environmental Impact Assessment (EIA) of the route(s), essentially the same as will be done for the wind farm itself. The Public Information Days will be held in Mull, Oban and Dalmally in the middle of next month. There will be no Public Information Day in Tiree at this time. This is because the situation as regards the grid route is different for Tiree. The first difference is that none of the potential grid transmission routes to Dalmally crosses Tiree and Coll. All of the potential routes go from the wind farm undersea, directly to other parts of Argyll and Bute. There will therefore be no cable transmission route to Dalmally across Tiree and Coll. The second difference is to do with the transmission of the electricity. 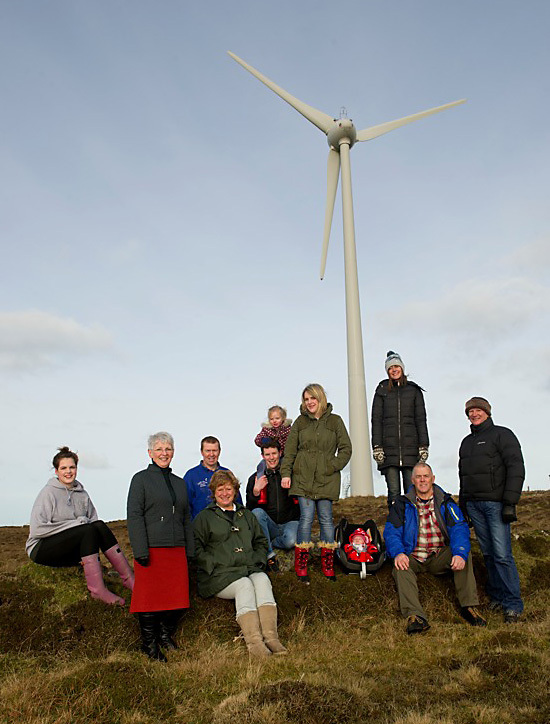 The electricity from the wind farm has to be converted from AC to DC before transmission, to reduce energy losses on the long journey to Dalmally. Another converter station at Dalmally will then convert it back to AC. A decision has not yet been made about where the wind farm converter station could be and this could affect Tiree. The converter station could be within the wind farm itself, on a large platform out at sea. The electricity from the turbines would go to the platform to be converted and then head undersea, for transmission to other parts of Argyll. Another option is that the electricity from the turbines would go to a converter station in Tiree to be converted before it was transmitted, initially undersea, to Dalmally. If a converter station were to be proposed in Tiree, SPR would take into consideration the need to minimize the lengths of cables into and out of it. So, because the transmission grid route will not cross Tiree and Coll there will be no Grid Route Public Information Day next month in Tiree. However, when a potential site for the converter station has been identified, either offshore or onshore, a decision will then be made about a Public Information Day in Tiree. A report on the Offshore Wind Careers Evening. Below are responses to the last of the points made at the Public Information Day held in late June. Only one or two of the comments made have not now been responded to.I will look at these in the next update. Concern about effects on tourism and lack of formal contact with representatives of tourism – Any effects on tourism will be looked at closely in the socio-economic section of the Environmental Impact Assessment for the project. If there are any potential negative effects, there may equally be positive effects. For example, any harbour improvements resulting from the project may encourage yachting tourism, a very valuable business which Tiree presently can’t access .It’s also possible to discuss tourism issues specifically with those concerned and I will be taking that forward directly in the next few weeks. Concern that the wind farm be further out to sea, and desire that there should be fewer, but larger, turbines arranged not to present a ‘wall’ to the island – While there were few comments like this in June, there were considerably more over the summer, mostly from visitors to the island who had gone to the exhibition in the Rural Centre. The company is very aware of the issue and this will be taken account of in the Landscape and Visual Assessment which will be another part of the EIA. As I said in June, the photomontages were indications of what might be, not predictions of what will be. The sea bed conditions and a number of other constraints will determine the final placing of the turbines in the site. A desire for more detail about onshore development, operations and maintenance possibilities and helicopter noise. – The Tiree Onshore Scenario Mapping consultation being carried out now will go into some detail regarding the whole issue of what may be developed onshore for operations and maintenance. It has not been possible up to now to identify in more detail the basic options presented in June. But since then a considerable amount of work has been done on this and the information will be passed to the consultants carrying out the consultation on behalf of Argyll and Bute Council. The possible options for an Operations and Maintenance presence on Tiree will therefore be presented more fully at the next consultation event during the first week of October. While this will not be an SPR event, there will be SPR representatives attending to answer any questions. This will be a very important event for giving more information about this major aspect of the project and I would encourage as many as possible to come along. Keep a look out for the advertisement in An Tirisdeach. The offshore wind industry in Scotland will be a rapidly growing part of the economy over the next twenty years. There is also the possibility that the Argyll Array development may increase the numbers of good quality, secure jobs available in Tiree. The company has been in discussions with the Tiree Trust for some time now about how Tiree could become better informed of potential opportunities in this area. We’re delighted, then, that we’ll be able to hold an Offshore Wind Careers evening in Tiree at the end of this month. It will be held at An Talla at 7.00pm on Thursday 29th September. It’s for anyone interested in careers in offshore wind. However, it will be of particular interest to people of working age who are interested in finding out how they could prepare themselves over the next five years or so for employment in the industry. We hope young people who have not yet decided on a career path and school pupils of about 14 and older and their parents will also find it very useful. how people repair and service turbines offshore, how people onshore monitor the turbines and co-ordinate the work on them and how the technicians and materials are transported to the turbines. We hope to give concrete examples of how people have joined the industry and how people can plan for education and training to enable them to do so too. Who will be leading the evening? There will be three people currently working in the industry there to talk about their experiences of their work and how their careers have developed. There will be careers specialists able to talk about current and future training /education routes and what people interested in joining the industry should do now to prepare themselves. There will also be SPR representatives there, able to discuss matters specific to the company. There will be a brief introduction covering the industry in general and how people from Tiree could become involved in it. The three industry workers will then each give a brief outline of their work and how they got there. A brief presentation on careers pathways and education/training will follow. The main part of the evening will be a chance for people to speak directly with the workers and careers specialist in organised small groups, over a cup of tea, to allow the kind of questions and discussion which are sometimes difficult in large meetings. I hope this evening will be informative but relaxed and I look forward to it being a successful first step in this important area. ‘ We are currently considering electronic presentation of our montages and will revert to you once we’ve made a decision’. Three (3) weeks after our original request SPR have still to make a decision. So the starting point in this constricted debate has to be SPR’ s statement to NTA;- ” …the photos used were those with best visibility out of multiple days on Tiree ” So what, and how is “ best visibility “ defined ? The visibility data from the Met Office for the multiple days on Tiree, reveals that when SPR’s photos were taken (between 06.15-07.30 BST), the visibility was 19Km. This explains the comment on one of the visualisations to the effect that Skerryvore (at approx 22Km) was obscured. But at 1200 hrs GMT the visibility was 28Km and remained at 28Km into the early evening ,and, on the next day, at the same time as the previous day, when the photos used for these montages were taken, the visibility was 35km. Is “best visibility ” the longest range of visibility or are other criteria defining elements of “ best visibility “? We have to look to Marine Scotland (MS) Scoping Response to understand the ‘totality’ of these defining elements which SPR’s visualizations have to fulfill for the Licensing Process ie ;- “ All aspects of the proposed development to illustrate it “in the round” including assessment of the proposal in a range of light conditions”. SPR attached many caveats to the visualizations presented, but in its ‘multiple days’ on Tiree, SPR took photos in a range of light conditions, but in selecting to present visualizations on one specific light condition, SPR omitted to make any reference to MS’s requirement that visualizations need to be in a ‘range of light conditions’. Go to : www.no-tiree-array.org.uk for a fuller debate on visualizations. It is a Marine Scotland’s licensing recommendation ‘that a public consultation is held’ . NTA is in dialogue with TCDT to arrange such a public consultation. A&B Council has only recently released this document to NTA . To read this document go to www.no-tiree-array.org.uk . NTA is studying this document, and will address the many issues raised in our next Newsletter. The application to Marine Scotland from ScottishPower Renewables for planning permission for the Argyll Array will deal with the plans for the offshore infrastructure and the grid connection to Dalmally. (See Update No 7) However, there are four possible ways the project could be operated and maintained. Each of these scenarios would have different implications (positive and negative) for Tiree. As many have said over the last year or so, there’s a need to fully identify and plan for these implications. Such planning would help Tiree to fully understand the full implications of the Argyll Array. Argyll and Bute Council and the Scottish Government also need to understand the possible implications because these may have effects on public services like education, health, transport and water. The wind farm, if consented, won’t be fully operational until about 2020. Moreover, ScottishPower Renewables would not be able to confirm which operations and maintenance scenario is viable for the project until after any consent decision. However, it is recognised that planning for the various possible scenarios needs to start now. A number of organisations, including the Tiree Community Development Trust and ScottishPower Renewables, have therefore got together to begin this process, called ‘Masterplanning’. We’ve agreed to a request by Tiree Development Trust to postpone this month’s planned visit to North West England to view offshore wind farms in the Irish Sea. This trip will now take place after the summer. Thank you to all the people who responded to my invitation to express an interest in going on the trip. Those people will be contacted again over the summer, as plans for the trip are finalised. Full details of the visit itself will be in An Tirisdeach after our return. One of the most frequent points of discussion about the project is the possible impact on job prospects were the Argyll Array to be given planning permission and then proceed to construction and operation. There are obviously no hard and fast proposals in place yet; indeed the Masterplanning process is only just beginning. However, to give some general information on this subject, we will be holding a Careers Workshop on Tiree immediately after the summer holiday. It will be useful for a wide range of people – those at the very start of career planning, but also those at the start of their working lives and those in mid career. It will hopefully be of interest to people planning future study, people planning to stay on Tiree to work or those hoping to return home. It will outline the kinds of skills needed for those involved in building and running a large offshore wind farm. We hope to be able to discuss the whole range of skills-professional, technical, administrative, trade and manual. We also hope to put this in the context of the approximate time-scales for the development of the project if it goes ahead. We will not, however, be able to indicate how many specific jobs will be created on Tiree in the event of the project going ahead, as this is not yet known. The purpose of the event is to give a general overview of career opportunities in offshore wind and to enable those looking to the future to be able to include offshore wind farm work in their options. This is intended to be the first of a series of information events in Tiree about offshore wind farms in general and the rest will get underway in the autumn of this year. Meanwhile details of the date and venue of the Careers event will be in one of the summer Updates. Donnie Campbell, ScottishPower Renewables Community Liaison Officer, Machair, Kilmoluaig in the first instance. At last a visualisation of the proposed wind farm from Sandaig. I love wind farms and believe it would be good to have our very own environmentally friendly outdoor art installation, which would also provide renewable energy. The turbines remind me of work by famous artists such as Anthony Gormley, Giacometti and Tinguely. They are quite beautiful. I wish we could consider a more detailed visualisation with coloured turbine blades e.g. pink (as in Sweden) or shiny/sparkly to prevent harm to birds. The nuclear disaster in Japan should be a reminder that more renewables are now necessary. They are the only alternatives and the argument ‘not in my back yard’ is not acceptable. Any argument against wind farms pales compared with nuclear installations.